My print of two yellow box fish fromm the Red Sea proves popular at the London dive show. Yellow box fish (Ostracion cubicus), from Nuweiba in the Red Sea. 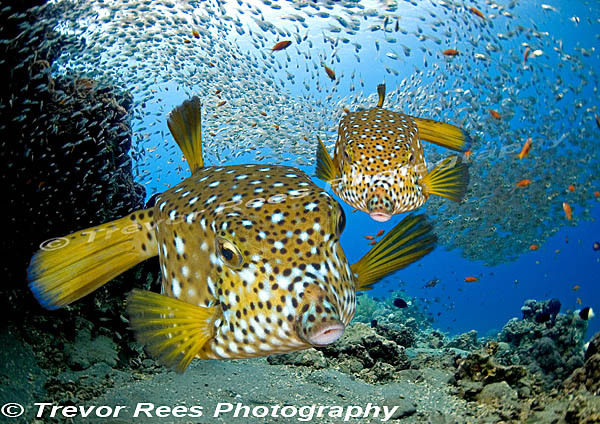 The photo was shown as a print at the London Dive show staged by BSoUP in association with Diver magazine. - awarded runner up in the Advanced Overseas category. With infrequent diving in warm overseas water it's fun to 'knock up' the odd award winning image from a tropical location.